If there is one thing the city of Miami is not lacking? It would have to be restaurants! Everywhere you turn; there is another fantastic place to eat. With the development of the Design District bringing high-end shopping, art and more to this newly rehabbed neighborhood, restaurants are also abundant. Three long-time favorites in this part of town are related to each other even sharing the same name: Buena Vista Deli, Bistro and, of course, the Chocolate and Wine Bar. 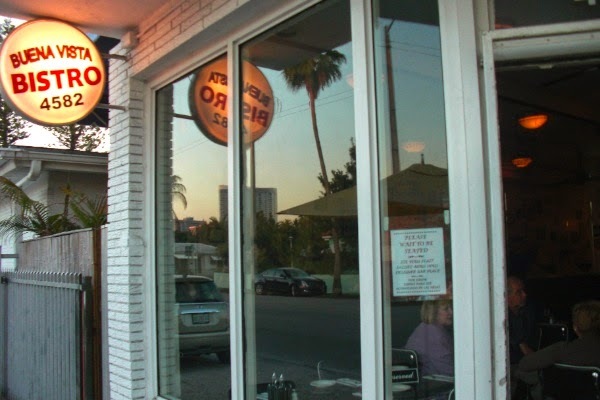 Buena Vista Deli, 4590 NE 2nd Avenue. Holy cow! You know when you pull on each end of a croissant and it just flakes apart; then you take a bite and it literally melts in your mouth? Well, that happens every day at Buena Vista Deli. There is nothing like their croissants. They have a huge menu on a chalkboard from which you can choose the best salads, croissant sandwiches, desserts and, of course, a little libation with wine and beer if coffee, tea and other drinks are not quite what you have in mind. 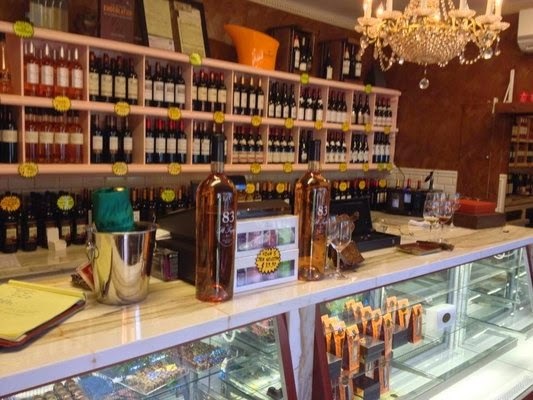 BV Deli is a great place to go if you are not super hungry at dinner but want to relax with a glass of wine and a perfect salad or a quick and delectable breakfast. Did we mention how delectable the croissants were? Buena Vista Bistro, 4582 NE 2nd Avenue. Another Buena Vista hot spot is the Bistro. Located just next door to the Deli, the Bistro is a step up from the Deli in terms of the menu and atmosphere but as for food, it is just as good. The flavor of the BVB is a true bistro-style atmosphere. It is one of those places where people say “I just love how it feels in here.” Then they bring you food that is so good you could order another full meal just because you cannot quit eating. From delectable lunches to unbelievable dinners, everyone leaves saying that they will definitely be back. Probably one of their most requested items is the Tuna Tartare – if you like sushi, you need to try this – it is better. Additionally, the lamb chops are out of this world. The best part is that the prices are very reasonable. This is a true favorite for those who live and work here as well as those from other Miami neighborhoods. Oh and don’t forget Sunday brunch at BVB – the perfect way to start off Sunday fun-day in Miami! Buena Vista Chocolate and Wine Bar, 4557 NE 2nd Avenue. After eating at either of the other two BV’s, the next stop has to be the BV Chocolate and Wine Bar. Chocolate and wine – in the same place -- what else needs to be said? You know when you have a craving for chocolate and one piece will fix it? Well, once you are here, one piece is not enough. Chocolate fanatics think they have died and gone to heaven upon putting that first piece of handmade chocolate in their mouths. It is so incredibly scrumptious that words are simply not enough. The wine selection is extraordinary. They often feature a Pinot Gris that many people love because it has a light and fruity note to it without being too sweet. This is a must-do in the Design District. The best part for the BV trio is that they are located on the same block so you can hit the Buena Vista establishments all at one time or each of them one at a time. Also, they cater and deliver so this group may just be the easiest, not to mention the tastiest, to handle the food and beverages for your next event. If you have not been to any of them, make sure you go – it is worth the trip to the Design District. For those who have but have forgotten about it, now is the time to reacquaint yourselves. Enjoy! !